In a futuristic Chicago, people belong to factions and exhibit the trait most valued by the one they belong to. Beatrice has just turned 16 and therefore must make a choice that will affect her life forever. Should she stay in the faction of Abnegation, where selflessness is valued, and where she has grown up and lives with her parents and brother? Or does she dare to abandon everything she knows for what she most desires? Once her choice is made, she plunges into an adventure she never imagined, not even after all the thinking she has done. And she has one very dangerous secret she must keep... if she wants to survive. In the influx of dystopian novels out recently, it's hard for one to stand out from the crowd. Surprise! Yep, this is another very positive review of this book. 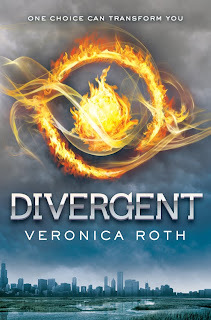 Divergent succeeds in being original, suspenseful and completely enjoyable. In the world Roth has created, people are put into strict groups, which is not a new concept. What is new (at least to me) is the concept that the people of each group have ONE trait or quality that they value above all others (selflessness, peacefulness, courage, intelligence and honesty) and live their lives accordingly. And speaking of characters, I loved how flawed they all are. No one is perfect, ever. In fact, I hated Tris, our narrator, a few times during my reading. But I was glad for it. Tris is often something of an anti-hero, though she shows some cojones quite often. I admired her and despised her, which makes a pretty good case for Roth's writing. And another awesome thing: There is some diversity in this cast of characters, hallelujah. What's interesting is people's skin color is not noticed so much as their way of dress, which indicates their faction. There is still prejudice in this world, just a different kind than we're used to. Oh, did I mention I could barely put the book down for all the action and layers of mystery within the plot? Yeah, that was pretty great. This book has nearly 500 pages but I flew through it. I am very impressed with Roth's debut, and I will most definitely be picking up the next book when it comes out (whenever that may be—soon please?). Disclosure: This book was sent to me by the (very awesome) publisher. Everyone's review I've seen, including my own, mentions how long the book actually is and how short if feels, haha! Great review! I was just talking yesterday about wanting to reread it! I loved it that much! This is definitely one of my favorite books so far this year. Your review is great, thanks for sharing! I totally agree. I can't recommend this book highly enough! I love when a hotly anticipated title lives up to the hype. This one definitely did. And hello, wonderful love interest: FOUR! There's a lot of cool things about this book: the division of the factions (I took a quiz and I'm Amity--hey, wanna be friends, lol? ), the action, the role of choice and of family, and finding identity. Really loved it, and agree that this is a dystopian series to watch. I can't wait to read this one! I've heard so many good things about Divergent. 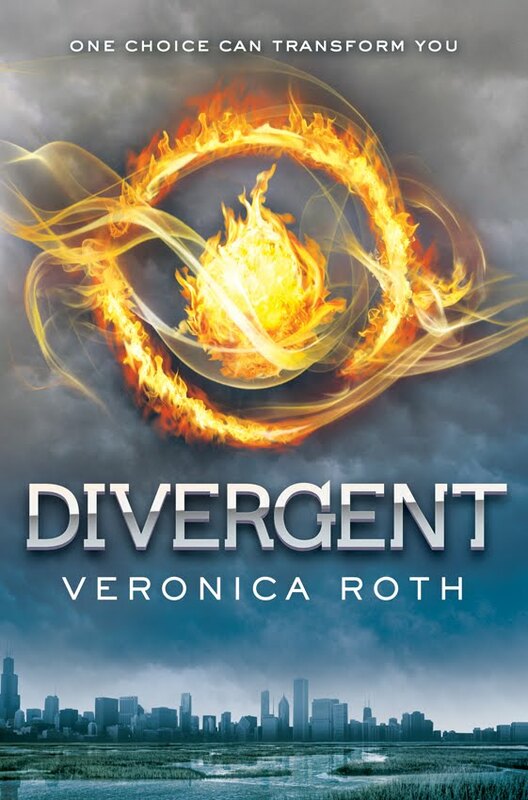 So long to wait...I think I'll be re-reading Divergent before it comes out!